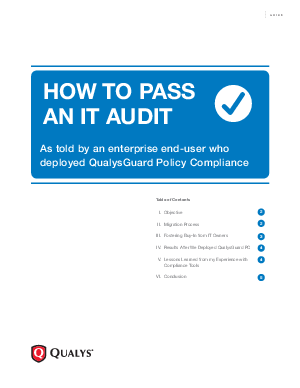 Most companies these days are subject to many audits of IT security to make sure that the all the regulations for compliance are followed and that systems and data are secure. However, sometimes preparing for an audit can be a burden on an organization and some companies do not know how to properly approach the process. Download this whitepaper to find out how to easily pass an audit and learn about the best ways to prepare for the process in the future.